What Are the Benefits of Truvia? Can I Eat Sherbet While Pregnant? Can I Eat Blue Agave Nectar During Pregnancy? You might worry about every bite that you put in your mouth during pregnancy because there is so much information available about what you should and shouldn't eat. A nutritious and well-balanced diet is an important step to help ensure the health of your unborn baby. Cravings for sweet foods are common during pregnancy, but too much sugar can be harmful to your health and to the health of your unborn baby. Blue agave is an alternative to table sugar but is not necessarily better. While small amounts of blue agave are unlikely to cause problems, you should have all the facts before you eat it. Agave nectar is produced from the blue agave plant, which grows in the volcanic soil of Southern Mexico. The blue agave plant looks similar to a cactus and has long, spiked leaves that bear the fruit used to make blue agave nectar. Blue agave nectar is made by squeezing the sap from interior of the leaf, which is called the "pina." Agave nectar is similar in appearance and texture to honey, but it tastes different. 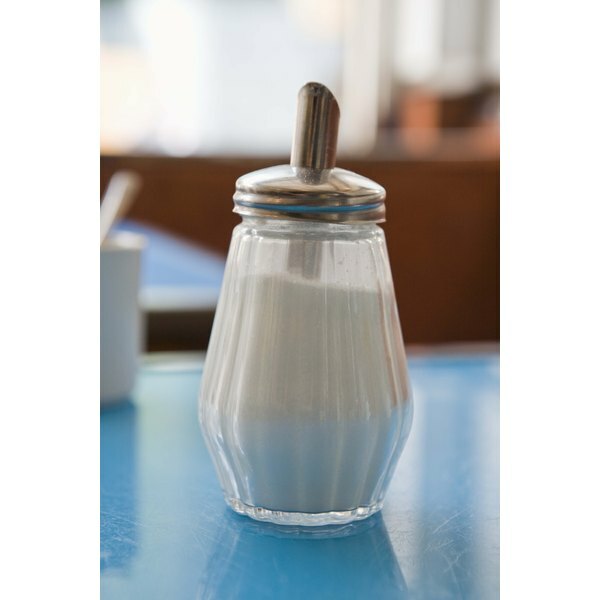 It is often used as a replacement for traditional table sugar or for other sugar products, such as high-fructose corn syrup. You should limit any type of sugar while you are pregnant. A diet that contains too much sugar can lead to unhealthy weight gain, which can negatively impact your health, as well as the health of your unborn baby. The American Pregnancy Association notes that gaining too much weight during pregnancy can lead to gestational diabetes. Gestational diabetes can cause too much insulin to cross your placenta, which can cause your baby to gain too much weight. Registered dietitian Marty Davey notes in an article in "VegFamily" magazine that agave nectar has a higher fructose-to-glucose ratio than high-fructose corn syrup and table sugar. This might not make it as attractive an option for sugar replacement, and the calories it contains can contribute to weight gain if you consume too much. Limit any food that contains sugar, including those that use high-fructose corn syrup or agave nectar in place of table sugar. Any of these foods contain calories, which can lead to weight gain. Read nutrition labels to determine whether your favorite packaged foods contain blue agave nectar. Davey recommends eating fruit to satisfy your craving for something sweet. Fruit does not contain added sugar and can be a healthy part of your pregnancy diet. If you do choose to splurge on a sweet food that contains blue agave, eat only a small amount to help limit your intake. Always ask your doctor about using alternative sweeteners while you are pregnant. While the amount of blue agave nectar in food is generally considered safe during pregnancy, you should not use agave in herbal form while you are pregnant. According to the American Pregnancy Association, the Food and Drug Administration does not regulate herbs, so their safety during pregnancy is unknown. According to a 2009 article in the "Wall Street Journal," agave nectar might not be as safe or as pure as manufacturers claim it to be. If you are worried about consuming blue agave nectar, you can calm those worries by avoiding it until you deliver. All About Agave: What Is Agave Nectar?